It was the summer of 2001, heading into my 2nd year of college, I rented a surfboard on a family vacation to the Jersey Shore. It was raining and the waves were ankle high. I definitely did not successfully ride a wave, but it didn’t matter. I was hooked. I wanted more. Back in Ohio, I used the growing Internet to learn more about waveriding. Watching short clips and seeing hundreds of photos, one thing stood out immediately above all else. I didn’t care about tail-flick turns or the progression of aerial surfing. I was instantaneously fascinated by hollow waves. I stared at empty barrels and endlessly watched clips of Pipeline and Teahupoo. I would sit and think about the sensations that a surfer must experience inside. As a beginner surfer, I quickly became aware of the difficulties in tube riding. After college, I moved to the Outer Banks of North Carolina and spent a couple years going over the falls on the hollow beachbreak waves without any success. But I was never deterred from my love of the barrel. 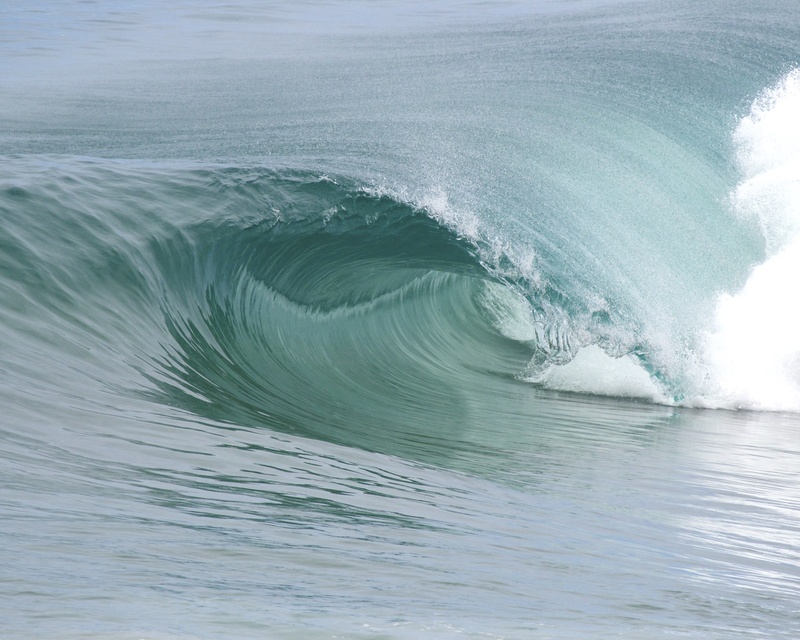 I would sometimes stand on the sand and jump into shorebreak barrels without even knowing that bodysurfing was a thing. My first toob photo- OBX. I then moved to San Diego and slowly became a better surfer but tube time continued to elude me. 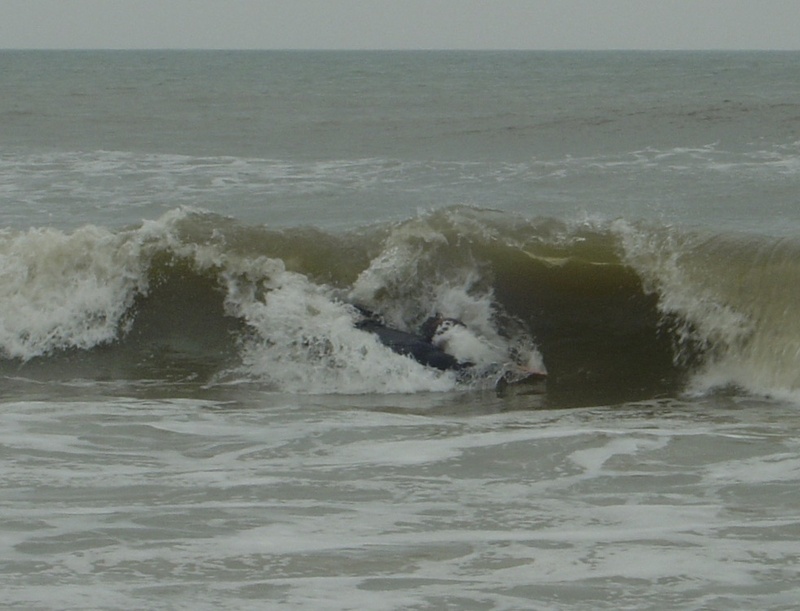 A good buddy would sometimes bring fins to the beach and occasionally bodysurf in between surf sessions. It looked like fun, so I bought fins and…WOW! A whole new world opened up and I mean literally opened up. Instead of surfing the soft, rolling reefs around Encinitas, I started swimming around local beachbreaks. My tube time started multiplying exponentially. It was all I really ever wanted from waveriding. Bodysurfing provides it and so much more.